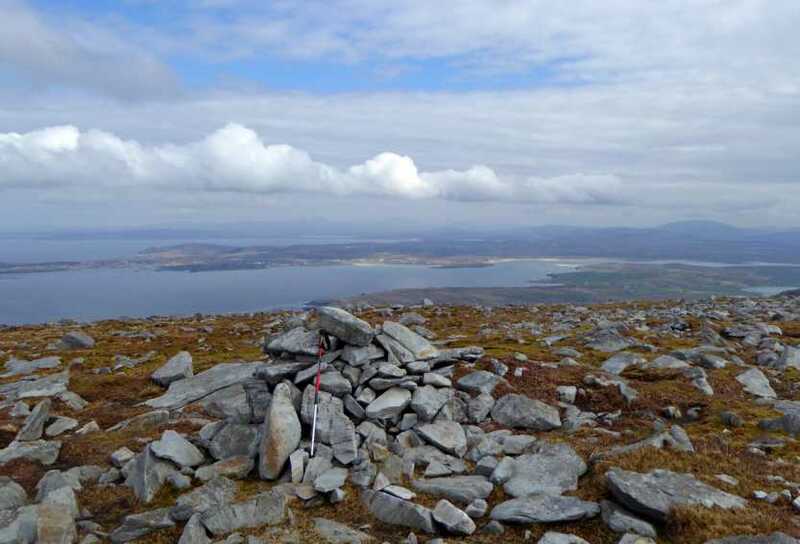 Although this peak is marked as Slievetooey on the Discovery map, it is only a lower satellite of the 511m peak, which is the true summit of Slievetooey. Sliabh Tuaidh W Top is the 651st highest place in Ireland. Sliabh Tuaidh W Top is the second most northerly summit in the Donegal SW area. This summit is usually done in conjunction with Slievetooey - see that summit for parking and initial ascent.